Pack up the local ski team, youth group or brass band. The Saf-T-Liner® HDX from Thomas Built Buses was designed to make even the longest bus excursion feel like a quick jaunt. Heavy-duty shock absorbers take on any terrain, from mountain roads to narrow city streets, while the rear engine design keeps the ride nice and quiet for the driver. 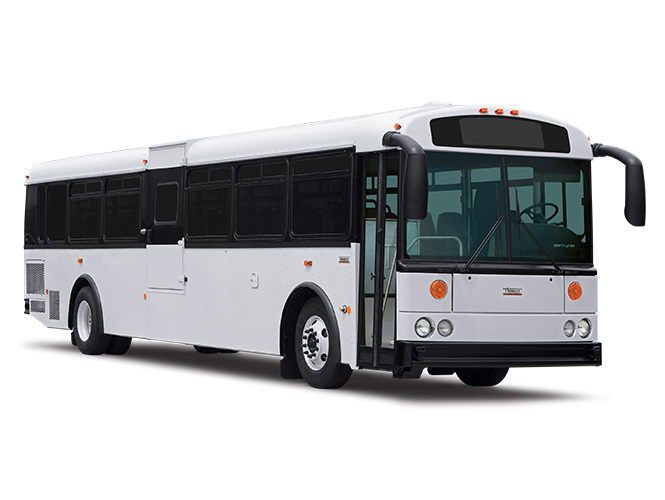 Options like coachstyle seating, pass-through underbody storage, overhead book racks and air conditioning add comfort for up to 90 passengers. Yet, for all the attention we pay to comfort, nothing is more important than our unwavering commitment to safety, demonstrated by our drive to meet or often exceed FMVSS. And with one of the most extensive dealer networks in the industry, there’s always support nearby when you need it.